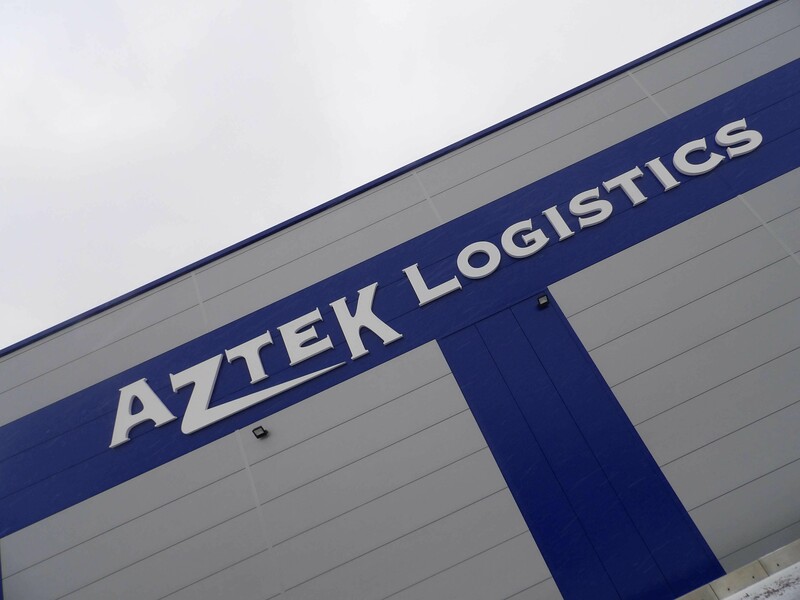 Aztek Logistics Ltd are an established Transport, Warehousing and Self-Storage company, based in Letchworth, Hertfordshire. 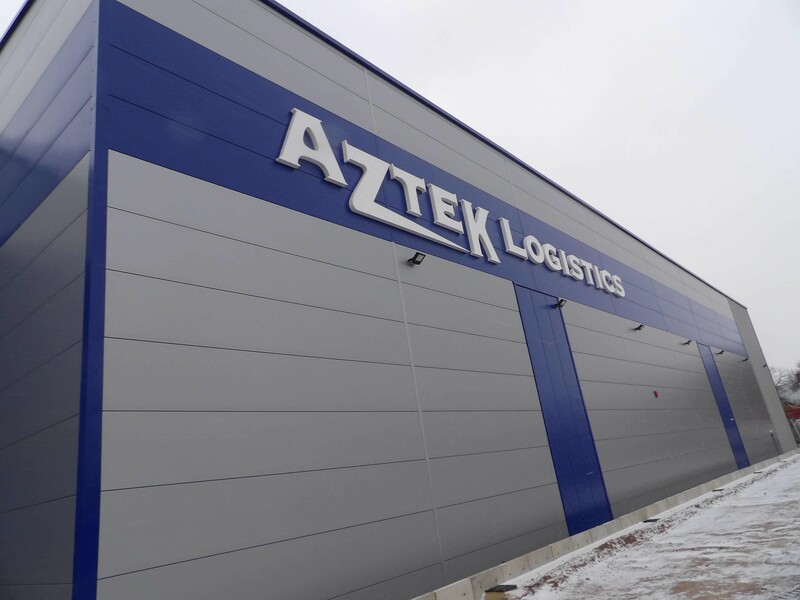 Characters Signs generally work with Aztek Logistics applying the distinctive graphics on their fleet of trucks, in this instance we were asked to design external signage for their new 30,000sq. ft high bay Warehouse unit currently nearing completion. The agreed design incorporated a massive sign measuring approx. 20 metres x 2 metres, with individual “built-up” elements to a depth of 150mm. The sign was to be finished in a gloss white powder coat. Three weeks after the instruction to proceed the sign was installed on the new warehouse, looking resplendent against the blue cladding panels!